Michael Cleveland is one of the best musicians alive. He's won the Bluegrass Fiddle Player of the Year award 11 times and he's been nominated for a Grammy, and he's done it all after being born blind and partially deaf. NASHVILLE, Tenn. — Michael Cleveland is one of the best musicians alive. He’s won Bluegrass’ Fiddle Player of the Year a record 11 times and been nominated for a Grammy Award, and he’s done it all while being blind and partially deaf. Born with a cleft palate, Cleveland has always been blind, and he lost 80% of his hearing in his left ear at a young age, but he never let it slow him down, ascending to the top of his genre based on his music abilities alone. But his story was so unique, and one that hadn’t been told, that director John Presley reached out to Cleveland in hopes that he would share his journey. “The fact that he’s blind, he’s overcome multiple disabilities, it’s a very, very inspiring story, and he’s been reluctant to tell his story over the years,” the film’s director, John Presley, said. 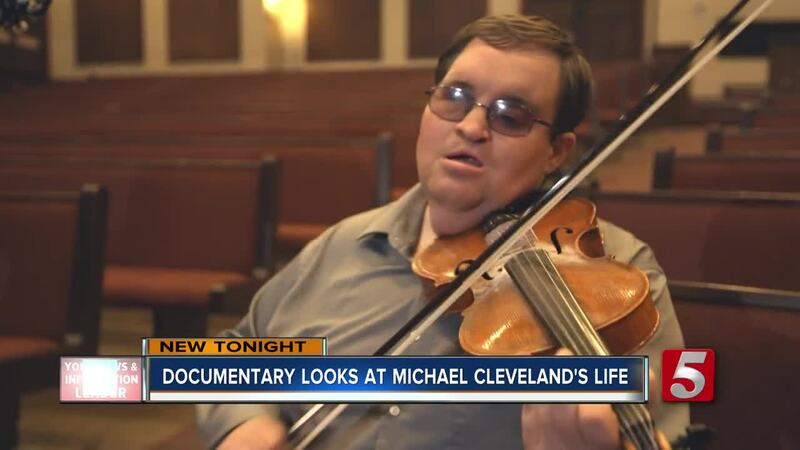 But now, after all of his success, Cleveland has decided to share his story with the world through the documentary “Flamekeeper,” which is also the name of Cleveland’s band. The documentary follows his life from when he was a child, all the way through present day, telling stories of hardships, passion, and of course, the music. “If this could inspire one kid, then I think we’ve done a good thing,” Cleveland said. Flamekeeper features interviews with 21-time Grammy Award winner Vince Gill who said, “It’s wicked to see how much music he pulls out of a bow – he’s untouchable,” as well as interviews with 14-time Grammy Award winner Bela Fleck, among other artists. Flamekeeper will be released globally to audiences online through Amazon and other streaming platforms on March 1.